Fergie and Josh Duhamel honeymooned in this island nation which is populated by pimped-out, pricey resorts that cater to your every whim. The pampering begins before you even leave your villa. At the W Retreat & Spa, a glass shower floor is all that's between you and blue shallows. 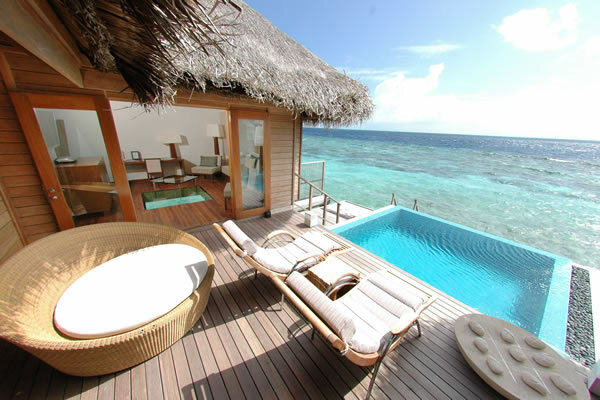 But the ultimate fantasy may be at Huvafen Fushi, where two spa treatment rooms are underwater. A Maldives honeymoon is the perfect location for rest and relaxation where you're treated like royalty...and you may run into some. If this sounds like the honeymoon for you, please contact us so that we may book you the honeymoon of a lifetime.